Mer-Sea & Co have beautiful gifts from travel wraps to candles & more. Whether you love to travel or would like to give or receive gifts that are perfect for helping you to relax, Mer-Sea & Co. have beautiful gifts. How about an at home spa day with bath salts, beautifully scented candles, body lotions and more or for those who are out and about, love fashion or like myself travel, check out their travel wraps, oh so versatile. Mer-Sea & Co. made it onto our Holiday Gift Guide. Read on to find out why! While the months of November and December are famous for the holiday shopping craze, they’re also popular months for traveling. I have so many family and friends who seem to have been just about everywhere since November 1st and their stories of their travels have been great conversation starters over the last few weeks. Some have gone off on business while others have flown off to be with family for the holidays. So far my husband, daughter and myself have stayed put but I’m not complaining because I’ve done my fair share of traveling over the last year.One thing my friends and family have griped a little about while flying rather than driving is that the temperature on the plane has been a little frosty. To be honest, I’ve been known to have the same problem and always carry an extra sweater or lap blanket with me on my trips because it does tend to get a little chilly during the flight, especially if you live in a colder climate. I was recently given the opportunity to partner with MerSea & Co and in addition to some wonderful products I was sent to review, I also was able to get one of the Picket Fence Travel Wraps. Whether you’re traveling by plane, bus or car this holiday season, the Travel Wraps are fantastic for keeping yourself warm and toasty during your travels. They’re also fantastic for at home since I’m always catching a chill while watching television with my family or working in my office. Each travel wrap comes in an individual bag that is perfectly sized for an airline pillow and also fits easily on your carry-on without taking up too much room. Here’s my teen-aged daughter modelling the travel wrap. My daughter has taken a shine to the wrap and it’s no wonder, it’s cozy and you can walk around the house with it on too. I love that I can also head out for a quick errand and leave the wrap on as my light jacket cover. I suspect when I’m travelling with my daughter she’ll be the one to get to use the travel wrap on the plane. I may just have to pick up another one of these classic travel wraps. Lots of material to keep you well wrapped up but oh so light. They have a variety of colors for the travel wraps and now they have one with pockets! If they had that one when I first looked I definitely would have gotten one with the pockets. Here’s another lovely color in the travel wrap. The Esprit Wrapped Votive Candle is just another great item that I was sent while working with MerSea & Co. Seriously, who doesn’t love candles. I personally love to station them in the main part of the house like the living room and sometimes in the bathroom. These hand-poured votive candles are made right here in the US and boast a 10 hour burn time, which makes them perfect for the main living areas of our home. Each votive is wrapped up nicely in a custom kerchief and are available in 6 different Bain de Mer scents that utilize essential oils. The Summer Day Sandbag Candle comes in a 7oz sheer luminescent glass vessel which can be reused as a votive candle holder. Each of these candles comes packaged in reusable canvas bags, which I love because you can reuse them for so many different things, and are hand-poured in the US. Like the Esprit Wrapped Votive Candle, the Summer Day Sandbag Candle is crafted using fragrant essential oils as well as clean burning soy wax with an all cotton, lead-free wick. With over 50 hours of burn time, the Summer Day Sandbag Candles are a perfect way to bring a clean, pleasant fragrance to your home, especially with the holidays coming up and guests showing up daily. I love that when I took the candle out of the bag that it had it’s own set of matches. MerSea & Co have a plethora of great products to choose from, especially for those who are looking for a wide variety of candles, bath & body items, home decor and more. Whether you’re shopping for last minute Christmas gifts or just looking for items for your home all year around, MerSea has just about everything you could need. To find out more about MerSea you can visit them online or become a fan of their social media pages like Facebook|Twitter|Pinterest|Instagram|Tumblr. I love the color choices on the Travel Wraps. I would wear one either casually with jeans or dressy with a pretty dress. I love the choices of colors & material type. So convenient w/ the travel bag & the 2 for 1 use of it. I am always cold but some days are not cold enough for a jacket. This would work great! This look so warm and so fancy at the same time! I’d love one of these! Thanks for letting me read about these! What a great review! And I really want a wrap. They look so cozy and stylish. I love that wrap! I was glad to read this review about it. I love how the travel wrap doubles as a pillow. I am so glad that you mentioned the pockets!! This is definitely an idea whose time has come! I would love a wrap like this. the wrap is so cute and i love the fringe details! the candle scents sound so good! I never get to travel but I would love the wrap for chilly movie theaters. It is so stylish that it could be worn anywhere. I love that the candle holder can be reused and the wraps sound wonderful! I love that the vessel can be reused. That is so awesome! The wrap looks like great quality love that everything comes in a nice bag! I think the wrap is pretty and fashionable! Those wraps are lovely, and I love the scents offered for the candles! Thanks and God bless! I love the fog gray travel wrap with pockets. My whole family travels a lot internationally both for pleasure and business. These would be gret Christmas gifts for next year. I haven’t seen travel wraps before. Perfect. I love burning candles throughout the year but especially during the cold winter months here in IL. Mer-Sea & Co. seem to have developed some fresh ideas in the scents they have created & I would love to try them. Owning a classic travel wrap is essential & I love the available color & material options. This looks super soft and warm! A travel wrap that folds into a pillow is so genius. I need one!! The Picket Fence Travel Wrap looks so great to travel with, I like that it can also be your pillow. I love the look of these wraps and I love that they fold into a pillow too what a great idea. These wraps are simply beautiful!! The travel wrap looks wonderful! I think the portability of it plus the nice style definitely makes it a must have! The candles look really nice as well! I love candles! I think there is nothing more important then a good travel wrap. It is a life saver on any plane or long car trip and looks elegant with dresses or jeans and boots. This travel wrap looks so warm and comfy, nice that it has pockets too, Mer-Sea & Co has so many candle scents I can’t wait to try and sea salt too, I see why they Made it on the Holiday gift guide! These wraps are beautiful and I love how the candles are packaged. All the scents sound lovely. These would make great gifts for anyone! I can’t believe the candles have over 50 hours burn time. I love candles. They are my favorite. I like the French Blue Travel Wrap and Carena Sandbag Candles. One of the Mer Sea Travel Wraps has pockets and that is what I look for to hold essential items like lip balm and cell phone. The wraps come in an array of colors and are big enough to drape for warmth. The travel wraps are very cute. I bet the candles are lovely too. The scents all sound wonderful! I like that these Travel Wraps come in so many pretty colors. I like the Deep Water Stripes Travel Wrap – WITH POCKETS! I’d want one with pockets. I love travel wraps! I’ve had one for several years and it is really indispensable. I used it last month after a cruise to add a watm layer to my fall jacket when the weather was colder than I anticipated. It’s the little extras that I like about the product, such as the canvas bag, that is perfect for collecting seashells and treasures. I just finished burning the best candle I’ve ever owned, and I can’t figure out where it came from to replace it. It was a baby powder scent, and it’s in a silver tin, but alas. No markings. So I’m anxious to try the votive candles you’ve reviewed. Something has to fill my serious void. I love the sea salt travel wrap! Perfect for road trips! This is the perfect wrap for Arizona in the winter. I like the candle last for a long time – 50 hours of burn time would be awesome. The wrap would be a great blanket for me when I am traveling by air. Always good to have something comfy and warm on air travel. I’m seriously in love with the travel wrap. A blanket is just not the same, it gets bunched up around your neck and shoulders and the rest of you is cold. I need one!! The travel wrap is such a great idea and I love the bag that converts it to a pillow. Candles are great gifts. I think this would keep someone so warm and that’s a treasure worth having in this cold season. I love the candles! I’m always looking for candles that burn a long time-I like to get my money’s worth! The wrap will be great for traveling in the car, especially in the summer, when the air conditioning makes the car so cold! These sound like great candles. After reading the review and looking at the wraps I think this would be awesome to have whether you are dressing up or down. The wrap could be a quick wardrobe go to. Love the fact that the review also states that the candles are a 50 hour burn. What a great combo! But I especially love that the wrap has pockets, you never see that! Oh this wrap would make travel so much nicer to be able to throw it on and off but also look stylish and these candles sound amazing I cannot wait to give them a try! These look so comfy, I need one before my cruise next year! The travel wrap is awesome. My mother had a double mastectomy and is very self conscious of her chest. I try to tell her no one is looking at her flattened chest, but she still feels like she has to cover up. This wrap would be perfect. It could be used in so many ways and looks so comfortable. I learned that the wraps comes in an individual bag and that the candles have 50 hours of burn time. This is a great combination of gifts. I love the wraps. The wrap looks warm and soft. What a beautifully written review. I love how the wrap is light but keeps you warm. The styles are super cute. The candles are made in the USA. That’s what makes me most happy. AND they have 50 hours of burn time. Wowza! Thanks for giving so much information about the products, and thanks for sponsoring this! I love how it can be a pillow for in the car/plane and also even a lap blanket. My wife run hot and cold all the time .She would love the Travel wraps.and she love candles she keeps the going all the time.Thanks for the chance . I love that the candles have such a long burn time, 50 hours, that’s a lot. The wrap would be great for my mom since it’s warm but light weight. The wraps look so comfy, love that you have photos of everything. The perfect stuff for a cozy night in! I like the wrap because it’s so easy to roll or fold up and stick in a bag. i am at the age where i get very hot, then it goes away and i’m left with cold chills, so i appreciate this wrap can be easily thrown over my shoulders and quickly removed. I love the soy candles that are clean burning and the scents are so different than other companies. This set would make the perfect gift for just about any woman, they are beautiful! 🙂 The wrap looks very soft and warm, and candles are my favorite! I also love that you can reuse the bag that it comes in. (Mer-Sea & Co For Beautiful Gifts – Travel Wraps & More) Their products sounds so amazing, I would like to try out the candle and wear the wrap sometime soon. I’m intrigued not only by the wrap, but by the candles. I love that they come in a reusable canvas bags, which I can reuse as anything I set my mind to. Perfect for those beachy days to collect shells! These are so very pretty. I like the fringe hanging down. I also love the gray and the blue. What an elegant and stylish present this would make! I love that the travel wraps come in their own bag and that there is such a variety in colors. Here in the Northeast I love to sit on the sofa and wrap myself up, and the travel wrap would be perfect for this time of year, and also for travel too. Candles are a great way to keep the house smelling good during the winter months when everything is closed off, and the bags they come in are cute too! I really would like the travel wrap for long flights. I hate airplane blankets…ick! I love the scented candles, i love candles period, so thats a plus. And the fact that the wrap has a pocket, it looks so cozy, trendy, and i think it would pair great with jeans and some wedges! Seems like the perfect grab bag for a romantic picnic :D. I would be so happy to win this. Love that the Travel Wraps come in 3 different weights… classic, linen, and thinny. AND and amazing amount of colors to choose from. I fell in love with the DEEP WATER travel wrap.. great with jeans, or a black one, which would make things dressier. they actually have several shades of blue to choose from and several grays. The wrap looks so cozy and the candle sounds amazing. I love that wrap! I love that you showed the size so I can really see what I would be getting! It looks amazing and like it would cover me with plenty of room. To curl up with a book and a good snuggly wrap is JUST the ticket!! I love that the candle holders can be reused as votive holders! Love the colors and styles of these wraps. I need one for the office! Love the dual use of the wrap as a pillow and it also is perfect for a blanket. its so awesome how small it wraps into, and how easy it is to travel around! Well, I don’t fly but I know sometimes riding in a car can get chilly & sometimes the heater is too much! These wraps sound perfect for taking the chill off in a car plane or even in your house. The candles sound really nice also & they last 50 hours? That’s great!! This wrap is gorgeous. I love the bright blue color. I would probably need to go with the more neutral color that you reviewed though so I wouldn’t stand out! like the French blue wrap. I think it would be comfortable and you could use it just about anywhere. I am surprise the candle last 50 hours. I love the wrap and the candles are a bonus. I like the French blue wrap. I think it would be comfortable and you could use it just about anywhere. I’m usually the first to feel chilly. Love that this comes in a cute bag. I’d probably take it with me to the movie theater because it’s always so cold in there. I love this travel wrap! I would totally see myself traveling in it. I had never heard of this company until this giveaway, I will be looking into them more! What a stunningly beautiful way to stay warm and relax. Love the fact that some have pockets. Always a plus. I love trying new candles! How cute these are that they come with their own matches! I learned that their candles are hand-poured in the USA using essential oils and fine fragrances, we use a clean-burning soy wax blend with an all cotton, lead-free wick. We travel a lot and this would be fantastic for the airplane rides and for rides in the car also. I think that it would work fabulously also for sitting at home on the sofa and watching tv. I have to say..I don’t fly…terrified…BUT I went on my first long distant train ride..It can get pretty cool…during the night for sure…I could sleep with this wrap. BUT I would get a lot more use at home. I live in florida and my hubby keeps the a/c too cold for me. I have to keep a blanket close by (it’s a sponge bob blanket that really doesn’t go with my decor) I would so much prefer a wrap. However you got me thinking, I really like the coconut shell one BUT now I have to wonder if I would be better off with the one with pockets??? as for the candles. well, we always have candles burning in our home…usually a yankee candle. If these give out a good scent then I could be tempted to try.. I love wraps. They are so comfortable and cozy. This would be perfect for my cold office. I will keep these in mind for gifts for my friends and family. Love the selection of colors! I work in a library that gets really drafty – especially after the sun goes down. This would be the perfect thing to keep folded in a drawer for days that I need an extra layer. I’m like you – I think the pockets would be really helpful. If I had all these items in the Pique-Nique color it would be awesome. I love that the wrap is big enough to cover and even has pockets. I love candles and have one lit almost all the time! I love that the wraps have pockets. These look lovely. The wrap looks softer, in your photos, than it does in mer-sea’s online photos. Such a smart idea to be able to use the wrap as a pillow! It would mean one less item in my carry-on! A travel wrap is so nice to have, can transform a day wear outfit to evening in a matter of seconds. I like the wrap because you can wear it while traveling in the car as it is not too bulky and not too heavy. It can also be worn on chilly fall evenings. Like you said, to cover up with on those chilly nites while inside. I love that the candles come packaged in those cute little reusable canvas bags. I love that the lightweight wrap comes with a cover that easily turns it into a pillow. The wrap looks so cozy and warm! Great for cold winter days. Great review on a really functional product! The wrap and travel pouch that creates a travel pillow are genious! Add to that the Summer pack with the elixar scented candles and I see relaxation and comfort in the wearers future! Beautiful color choices too! Great to use if you travel a great deal , or heck even at home. I like all the different colors it comes in. It looks so warm and comfortable! These would for sure make super nice gifts! I would love a travel wrap for car trips as well asplane trips. I am always cold. And I love that you can get them with pockets! I think the travel wrap would come in great use. Man that gray travel wrap looks so super cozy! 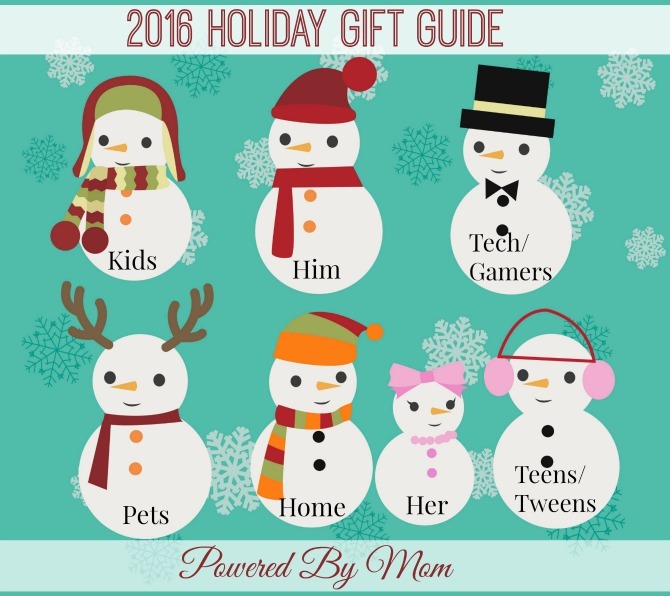 An easy go to gift idea for that family member who is always hard to but for. ? What wonderful gifts for your family and friends. The wrap comes in co many great colors love all of them they are so pretty to wear. I love candles too we burn them often in our home. I would love a travel wrap. I hate wearing a coat in the car and this would be great to throw on. I would love to have a wrap for the plane – I always find myself getting chilly during some of the flights and it looks like it would be cozy and comfortable. I would love one of the travel wraps to take with me on he plane. I always get cold too. There are so many cool colors to choose from on their website. I really like the twilight blue one- so pretty! Their wraps are gorgeous, and I love that the candles come in a bag. Cool company! I love the wrap, especially the Oyster Travel Wrap. It rarely gets cold enough for me to wear a coat outside, but there are many times that a wrap would be perfect to protect from chilly weather. I love candles. The shawl, or whatever it is would be nice to use on a chilly day while working my crossword puzzles. I would love this wrap to cover up and stay warm for out cold winter nights. These look like they are good quality. Another giveaway right up my alley. Really awesome for us coastal peeps..it can get chilly at night here in Florida. Especally, after being outside all day. I love the travel wraps I would be so happy to own one they look nice and warm. I went to the Mer-Sea Co webpage and was just imagining what all those fabulous candles smelled like, amazing I bet; I want them all! The candles are very nice, but I especially love the Travel Wraps! There are so many beautiful colors to choose from! A wrap like this would be perfect for relaxing around the house & a perfect travel companion…they look so cozy! The travel wrap is perfect for me. I hate wearing a huge winter jacket in the car when going on a trip so a wrap is perfect to keep the chill away. I fly a few times a year to visit one of the kids and since they all live in warmer climates I do not want to be burdened with a winter coat. So one of these wraps would really be handy. Thank you and Happy Holidays! That wrap sounds great! I always get chilly when I attend different events because it’s hot here so most venues have their buildings ice cold. Would be great to take this along to keep warm! thanks! I fly weekly for work and i really should invest in a travel wrap. How handy would it be to have a wrap for those cold airplanes or cold hotel rooms? I’m sure the wrap would be very warm. Great for movies, lectures , etc as you can wrap yourself in it when the temp gets chilly! I love a nice clean-burning soy candle. Both of these items are so very me! I love scented candles and would practically live inside that gorgeous travel wrap. Love the travel wrap — perfect for wearing on the airplane or in the car. I like that some of the travel wraps have pockets! The best part of these is that they can be thrown in the washer and dryer when needing to be laundered. There’s a wide variety of colors to choose from so its easy to coordinate with what Im wearing. Thank you for this review because I never knew about this company before. I love that the candles are made out of soy wax! they are made for adults and there is a photo there of an adult wearing them not just my teen-aged daughter. Best. I just spent some time on the mer-sea website. I am so in lpve with these travel wraps. I am hoping that the candle page becomes available again. I am definitely buying my SISTERS birthday present here! great review. ? I would use that wrap as a jacket too, its gorgeous, its so drafty in my house it would come in handy. The Travel Wraps are so handy because I get cold all the time and I like how the come in a bag and I can use it as a pillow when I travel,they are so cute too! I like that the candle burns for 50 hours. I love the travel wrap! It looks like it would be so cozy! I love the size of the travel wrap! It looks so big and comfy! The wrap looks really nice and warm. I like that the candles are made with essential oils, are made of soy wax and have an all cotton, lead-free wick. The 50 hour burning time is wonderful! These look so cozy and warm. I really like them! LOVE their wraps and their scented candle selection is fab. The wrap looks comfortable and love that the bag that the candle comes in is reusable. The Travel wraps sound awesome.